NHL News : Scott Darling reveal off his first Carolina Hurricanes mask. Scott Darling reveal off his first Carolina Hurricanes mask. NHL goalie shows off first new mask with his new team. 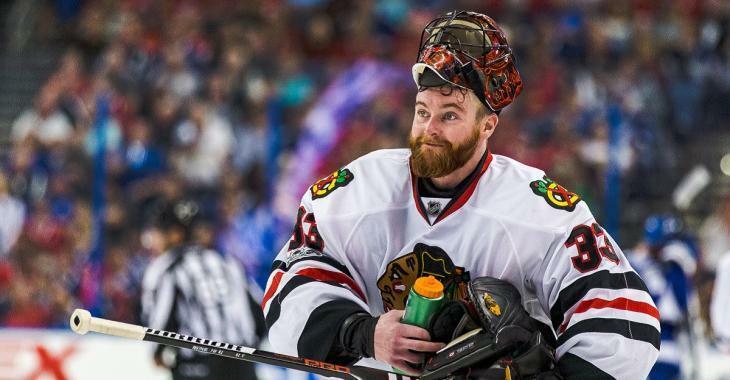 National Hockey League goaltender Scott Darling went from perennial backup goaltender on the Chicago Blackhawks roster to the presumed starting goaltender of the Carolina Hurricanes roster in a single trade. One of the first thing Darling needs now is a brand new mask with a brand new design, and he has gotten just that courtesy of DaveArt, an artist known for his work on goalie masks. On Monday DaveArt released a brand new photo that shows off Darling's first Carolina Hurricanes mask design, and you can see that original Instagram post just below.